A knife attacker stabbed two people at Amsterdam’s main rail station on Friday morning before being shot by police, authorities said. 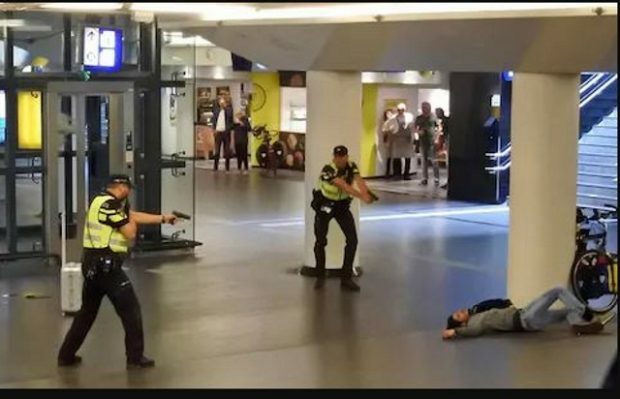 Shortly after noon (1000 UTC) a “man in the west side tunnel of Amsterdam Central Station stabbed two other people and directly after that he was shot by the police,” Amsterdam police spokesman Rob van der Veen said. All three people were taken to the hospital to receive treatment for their injuries. The man has been identified as a 19-year-old Afghan citizen. Authorities said they were unable to provide any details about the motive for the stabbing, but that terrorism could not been ruled out.